Check out this cool gerbera that I made using the new Daisy Punch. I just punched 2 from watercolour paper and coloured with my Aqua Painter. Love the colour? It is called Berry Burst and is one of the fabulous new In Colours. 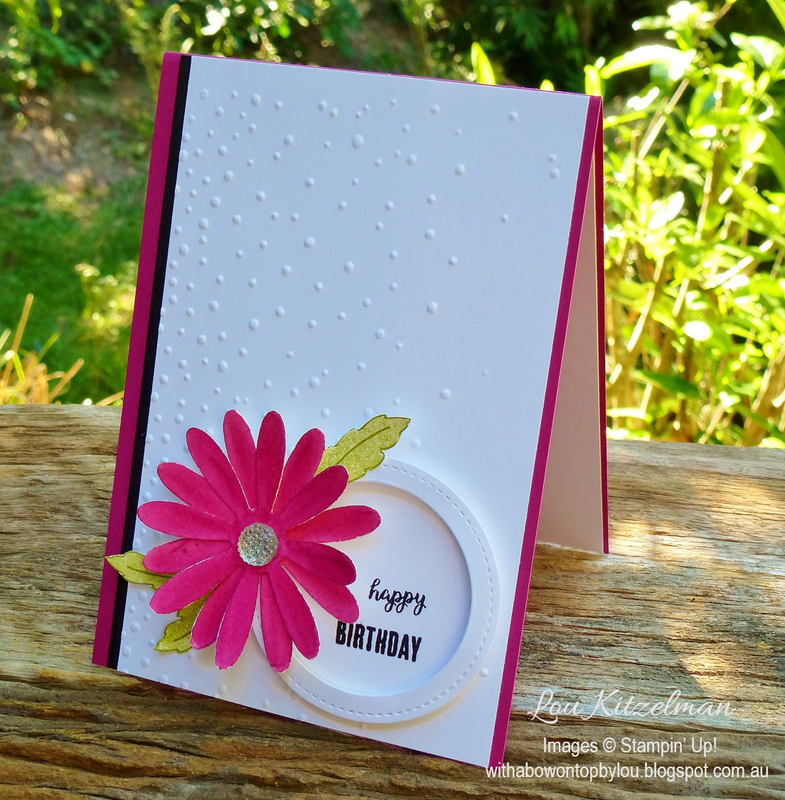 My inspiration for this card came from the challenge over at Global Design Project this week. 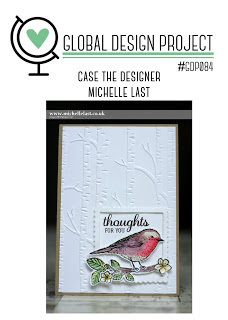 The challenge is to CASE (Copy And Selectively Edit) Michelle Last - who I might add is one of my Stampin' Up! idols. 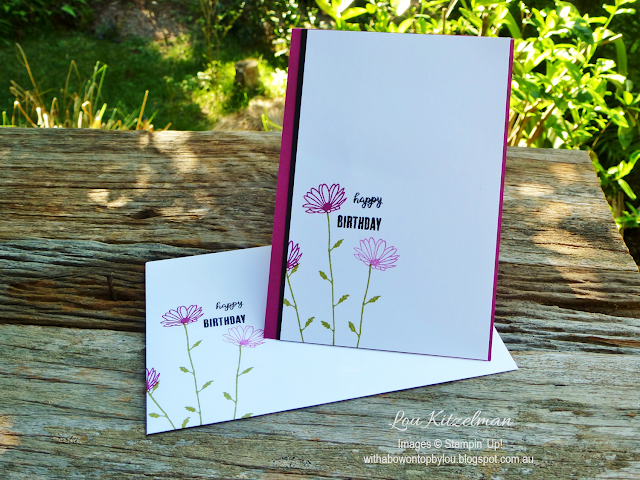 I really loved her design and used the layout for my card. Having a frame to hang a design element off just lifts the design so much. 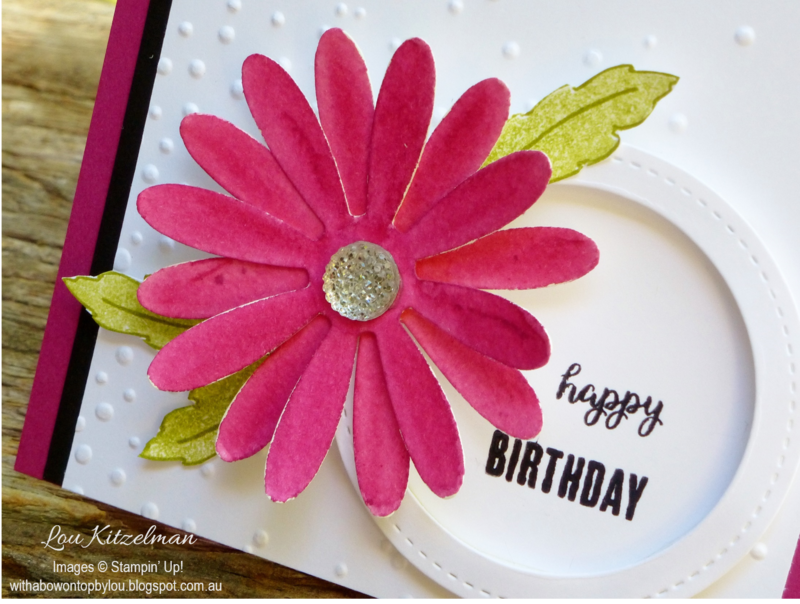 The Daisy Delight stamp set which coordinates with the Daisy Punch is really sweet and has lots of smaller elements for you to use. I love the stem and small daisy stamps. 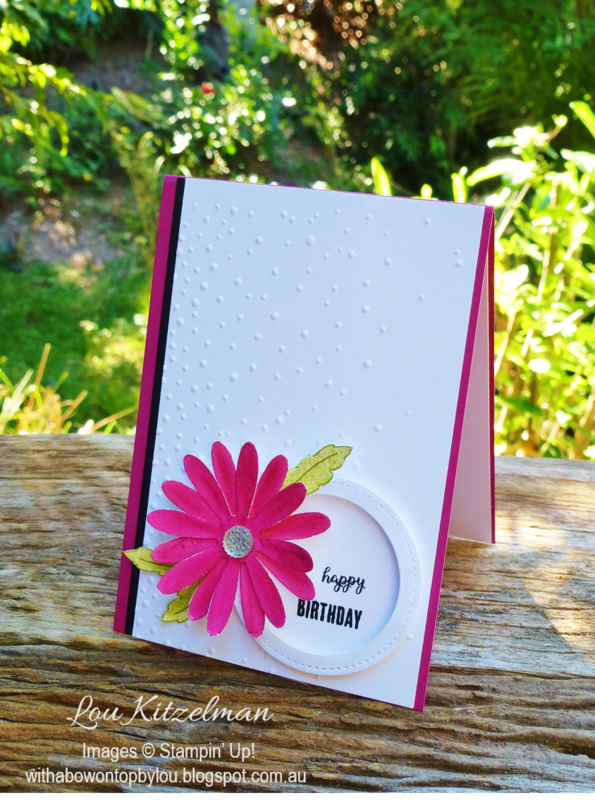 Just perfect for the card inside and envelope. I needed a small sentiment to go inside my circle frame. The Tabs for Everything stamp set was perfect for this. Another new product that you can get your hot little hands on soon is the Faceted Gems. You get a few different sizes on the sheet and they are fabulous as flower centres. This punch and stamp set are going to be one of my favourites I know and I already have so many ideas for them swirling around in my head. You can get your hands on them from next week by joining my Stampin' Up! team. Read all about how to join and save money here. I would love to have you on my team.